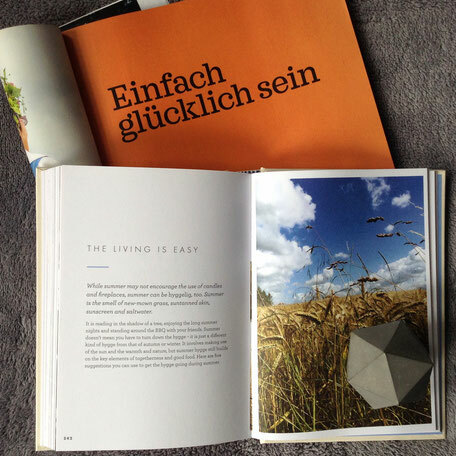 Minimalism And Hygge - Hell Yeah! I have heard about 'hygge' a while back and thought well, fair enough I like to cosy up, get the kettle on and the cosy blanket out. Done, right?! 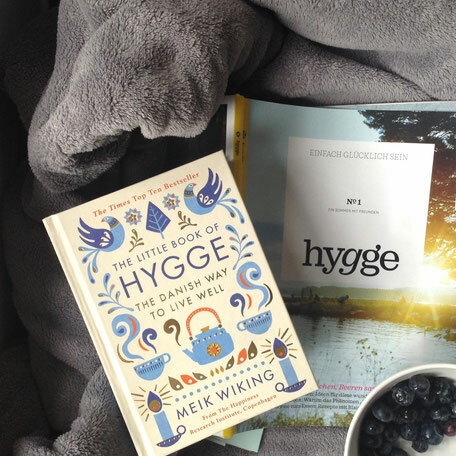 Well, I went to Copenhagen during spring this year and of course what was the most interesting thing to bring back 'The little book of hygge' by Meik Wiking. I read it and found loads of habits and ideas on how we should make us all feel better. All nice and jolly. Thing is though, recently I came across more and more posts and articles like 'Hygge on a budget', 'Hygge vs Minimalism', 'Hygge for home and work' and so on. And two weeks ago I went to Germany, just to visit family over the weekend, you know the hygge way. At the airport I browsed some magazines and found that they even just published a magazine called 'Hygge' featuring all sort of lifestyle options and what we all should do to feel better. I started to feel a bit irritated by the thought of hygge being a decor trend or even a must do now - it's a trend. I understand that we might want to look for beautiful items or cosy items that make us feel good. I am the last one not to understand that, I create and sell beautiful things myself and of course I want them to be precious treasures to you which make you feel good too. But that is just that - to make us feel good! Well, I read some of those said articles in full and couldn't disagree more. Why should hygge not go with my / your decor. I hope to achieve at least in some areas a minimal life and I think hygge is never going to interfere with that thought. Let's see, I live in a small studio flat in London. Yes, just a studio. I have to be organised or no work gets done. So everything has its place and gets put away. I don't have things twice and I need to be able to move things around for my photo shoots. If I feel things get to cluttery, you know magazines and books, I put piles together and drop them off at one of the station bookshelf or donate them. If I get something new the old goes. I think all this is pretty normal and very minimal. No budget requirements, no brainers, right?! Maybe it is just me but one of the 'Minimalism vs Hygge' articles suggested that hygge asked for cosy clutter and clutter never works with minimalism. But I think the opposite is the case. Hygge and Minimalism are describing the urge to only use your most precious things to enjoy and decorate with. Only use the things that make you feel good. Neither, is asking for a sleek gloss white in all things for example. A clean space allows me too breath and feel fresh, even to recharge. So my room decor and surroundings are pretty minimal. However, I chose this environment to be 'hygge' in, if I might say so. I, of course, have good food and friends around to share it with or have a cuppa and a good book and my 'single favourite' cosy blanket in my minimal decorated room. Therefore I think minimalism and hygge both are not a budget thing nor are those two in a way against each other. If anything they compliment each other. To live with less you have to choose well and to keep only things you truly love. 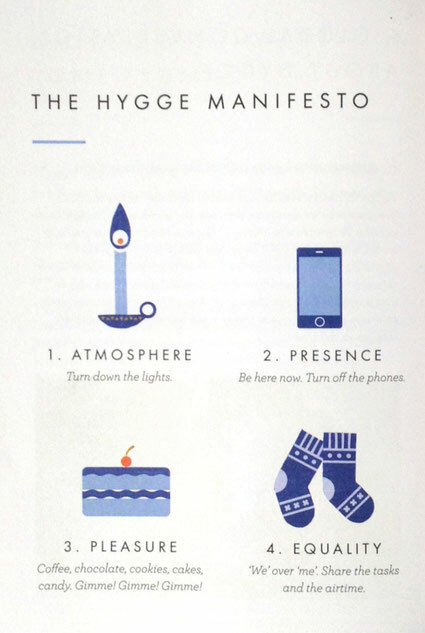 I would very well think that is point 10 of the hygge manifesto [picture on the left]. Your tribe, a place of peace and security can only be created with the things you love and have memories with. In a way I even would go so far that it is part of point 7 'Comfort'. Isn't it far easier to take a break and relax in an environment you feel free and home in?! 'Presence', 'Equality' and 'Truce' are more or less life choices and maybe even a choice of the company you keep. It is normal to me to shut my phone off when I am in a conversation and even though I do love all your posts and shares on instagram, facebook and so on, I do not need nor want to check the feed all night long. Although, I am writing loads of 'I' here and I like my alone time - I pretty much think 'we' over 'me'. With 'Truce' I am not so sure since my friends and I love good arguments but maybe I am taking it to literally. Well, I think no one would say 'no' to good food and appreciation goes with it and all things, well and together - isn't everything better together?! Easy! Although, I am not sure how minimalism goes with or against it but maybe less food, haha. 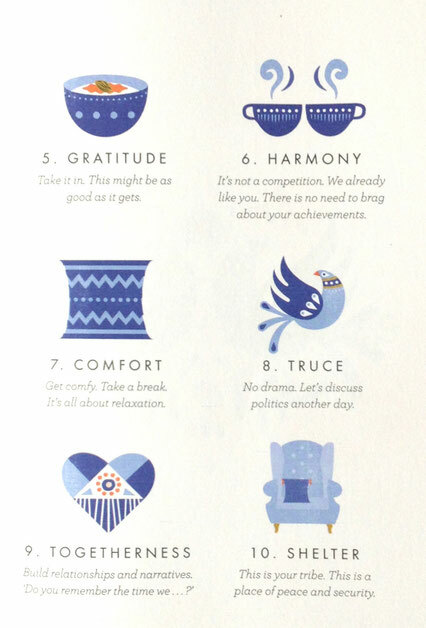 Anyway, it is pretty much so, that I will keep living by the now called 'hygge manifesto' [before it was simply called 'the rules my mom taught me to be good human' not catchy I know] and will decorate and live as a minimalist. I think both are true parts of me. No budget, competition or any of such sort required. By the way, I think this will also work with other decor styles as long as it allows you to create an environment which makes you happy and allows you to be you. Maybe all I am saying is totally crystal clear to you and I just got hung up on those posts or I misunderstood - but just in case you feel little like me here are my thoughts and I look forward to yours.